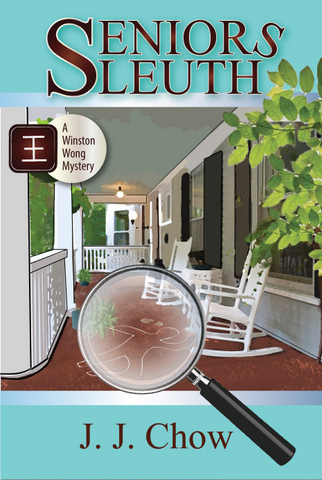 Saturday is the book birthday for Seniors Sleuth by J.J. Chow. As part of the launch team, I read the book (and enjoyed it!). Watch for my review on Saturday to celebrate the book’s release date. Along with the rest of the launch team, my comments influenced the cover design — I really love how it turned out! Don’t you? Since I have special access to the author, I asked if I could interview her and she said yes! So, here’s a sneak behind-the-scenes preview look at Seniors Sleuth from J.J. Chow. I loved the odd juxtaposition of the gaming world and the senior living spaces in Seniors Sleuth. How did you come to know so much about both? As far as gaming goes, I am surrounded by people who are technologically-oriented. Luckily, I’ve been able to visit a few campuses and play video games (um, for research). I also heavily relied on the expertise of my husband and brother. Plus, I have limited personal experience because I grew up learning computer languages and did some basic programming. My knowledge about seniors comes from both volunteer opportunities and formal studies. I did a concentration in gerontology as an undergrad and went on to get my Master’s in social work, with a specialization in older adults. I’ve either worked or helped in a variety of settings, including adult day health care, assisted living spaces, skilled nursing facilities, and independent living sites. As a librarian, I’m always interested in the research that authors do for their books. What research was required for Seniors’ Sleuth and what were your best resources? A lot of my quirky senior residents’ personalities or health issues came from direct experience. I handled a caseload of many seniors for years, so I mixed and matched their traits. It’s also helpful that I have family who live in the San Jose area, so I physically got to check out places mentioned in the book. Can we look forward to more adventures with Winston and his friends? I have ideas brewing for more Winston mischief in the future. I’m looking forward to utilizing the locale further and in fleshing out his relationship with some of the side characters from the first book. 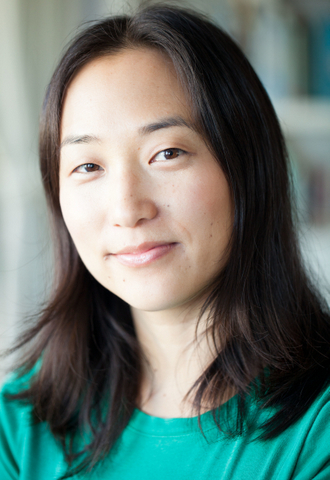 J.J. Chow specializes in Asian American fiction with a geriatric twist. Her geriatric expertise includes a gerontology specialization from Cornell University and a Master’s in Social Work with geriatric field experience. She lives near Los Angeles and is a member of Sisters in Crime. You can follow her blog and find more about her other writing at www.jenniferjchow.com. Thanks for this informative interview, Joy. Sounds like an interesting author to explore. Congrats on the book launch! Thanks for checking out my author interview, Arti. I had a lot of fun answering your questions, Joy! Sounds like a fun book! We’re doing cozy mysteries for our genre study group in June, so I think I’ll look for this one as my second title. Nice interview, Joy and Jennifer!